When the world can seem to be a little harsh on us at times, that is when we need a place to reconnect within our untainted soul. Thematic cafes, somehow provide that respite. 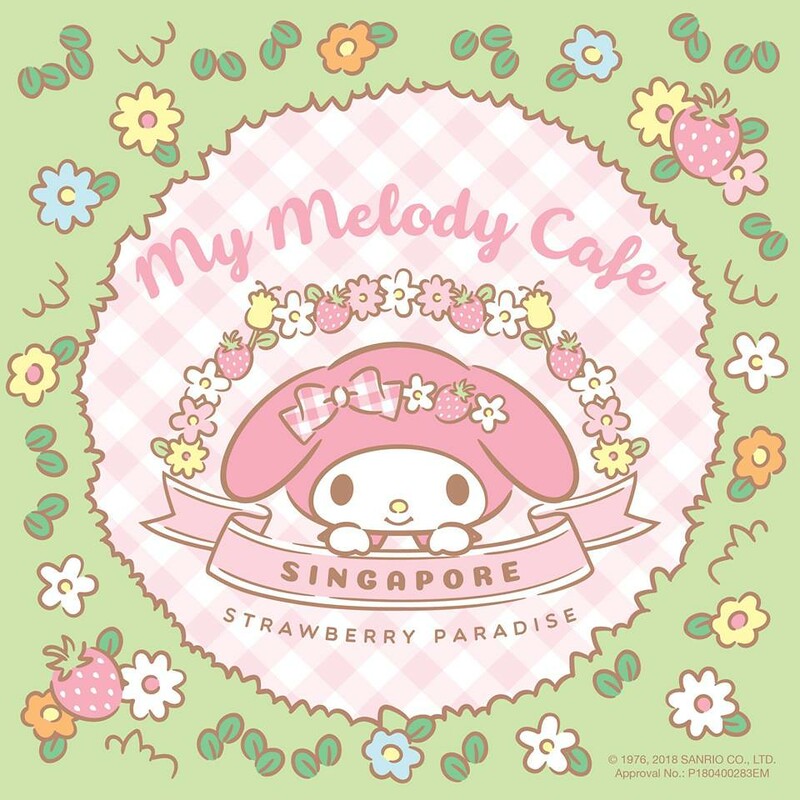 My Melody Cafe at Suntec City embodies the warmth, innocence of My Melody, as well as the serenity of a Strawberry garden. Walking in may just set your dormant childlike spirit alive with all the pink and fluff. 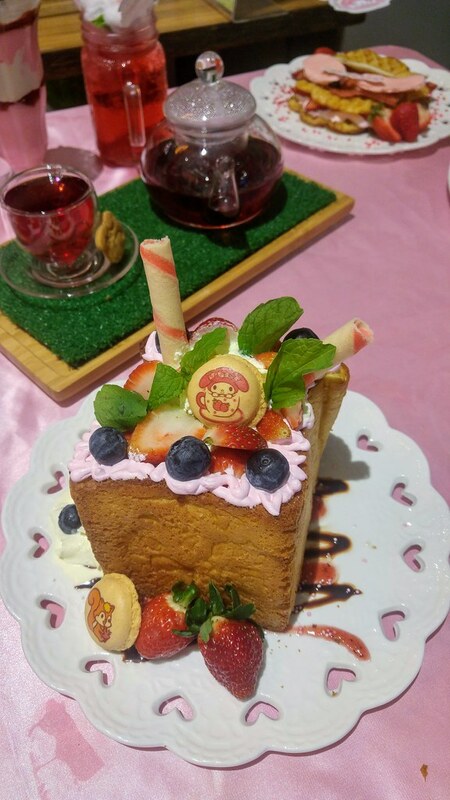 The Strawberry-centric design naturally relates well to desserts but mains are offered here as well. 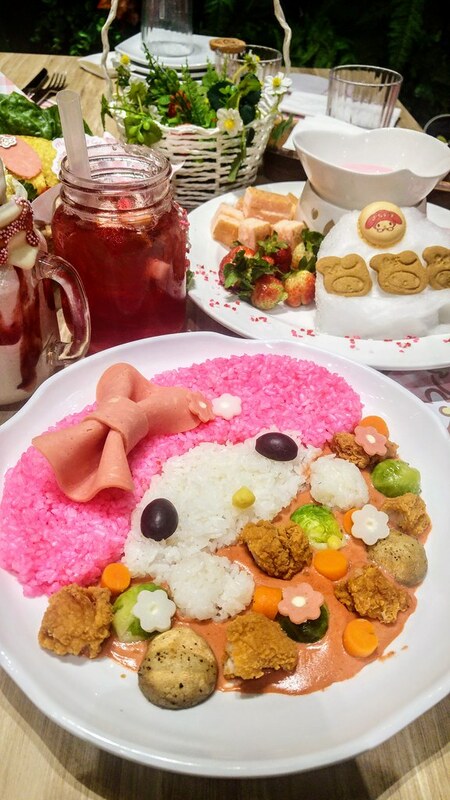 The Princess Bunny ($18.90) is a Japanese Curry Rice made with beetroot tinted My Melody shaped rice. I find this a kid-friendly dish as the curry is mild (but still quite addictive), with easy-to-eat chicken karaage, brussels sprouts, mushrooms and diced carrots. I was surprised to find Hola Taco ($25) using good quality bulgogi beef as I was half expecting corn beef to be used, as experienced elsewhere. 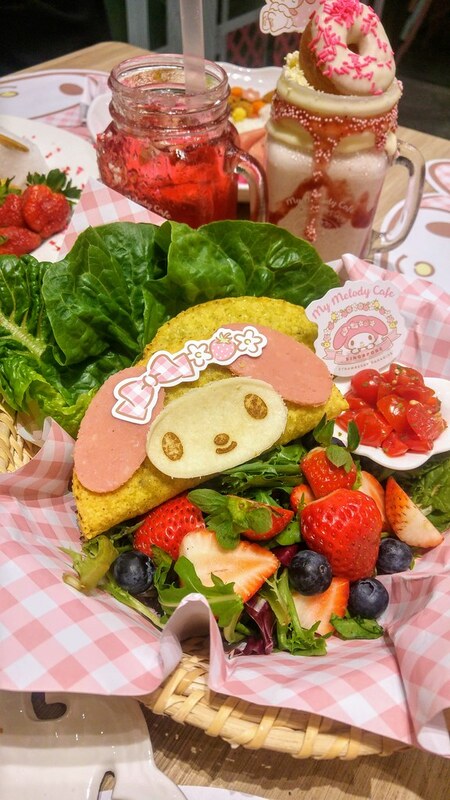 Wrapped in crunchy taco shell, the beef was tender and juicy, bind together to the shell by melted cheese. Strawberries plays a huge part in most of the dishes, especially in the desserts. 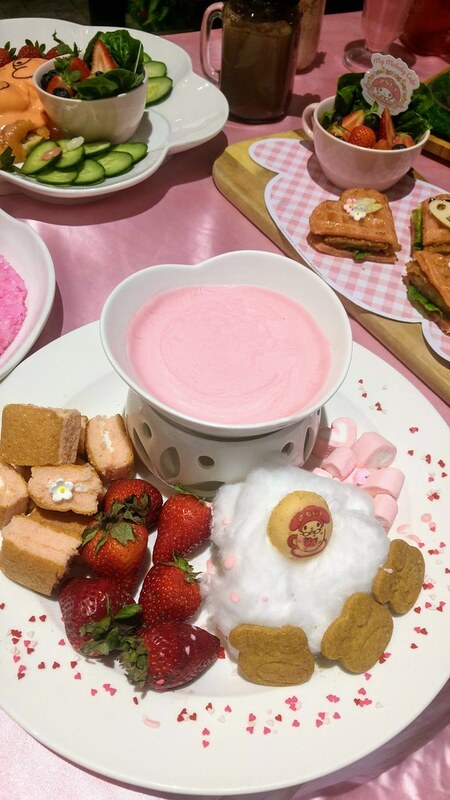 Tuck into a bowl of Treasures of Maryland ($19.50) in which a gigantic brioche toast is served as a pot of treasures of strawberries, vanilla soft serve, strawberry sticks and specially embossed macarons. If you really have a very very sweet tooth, then Play Time Fondue ($22.50), which features a Yan Yan -like creamy pink chocolate fondue will be a fun dessert to try. 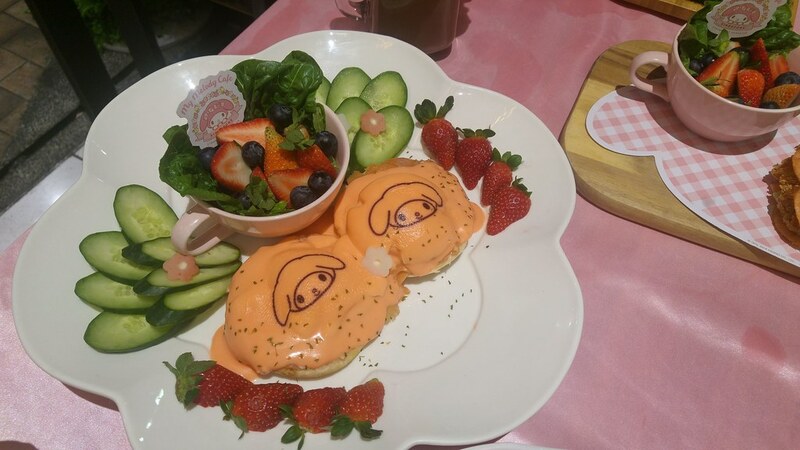 A couple of brunch like items such as Little Pink Riding Hood ($23.90), Smoked Salmon Egg Benedict and Pancake Bliss ($23) are available too. 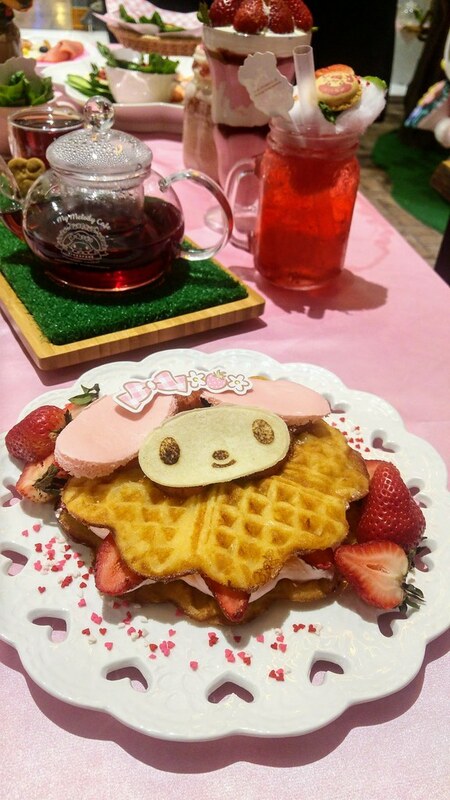 My Melody is just going to be around for a few months, do visit her when you can!